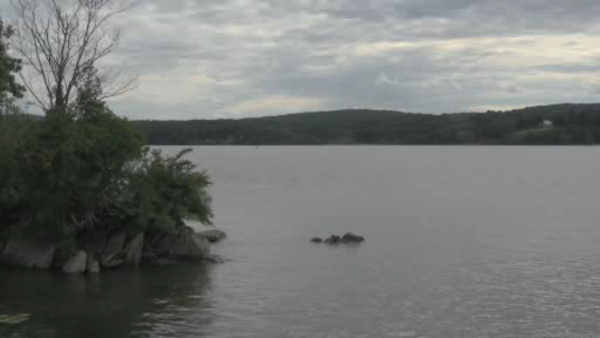 STAATSBURG, N.Y. -- The search resumed Sunday for a kayaker missing in the Hudson River in Dutchess County. Search and rescue teams have been looking for 32-year old Ian Jones since Saturday morning. Jones and his girlfriend's kayak capsized in the water near Mills Mansion. The woman, 22-year old Tali Fruchtmann, made it to shore, but Jones is still missing. Fruchtmann is the daughter of rock singer Annie Lennox. The sheriff's department says neither of them was wearing a life jacket. At this point investigators say the incident doesn't appear to be criminal in nature and no foul play is suspected, however the investigation is continuing. Jones is described as a white male, approx. 6'3" with a slim build, dark hair, wearing jeans and a denim shirt. Anyone who sees someone matching this description is urged to contact the Sheriff's Office immediately at 845-486-3800, or via the tipline at 845-605-CLUE (2583). The area is about 30 miles north of where Vincent Viafore drowned in April. His fiancee is charged with murder for allegedly tampering with his kayak.